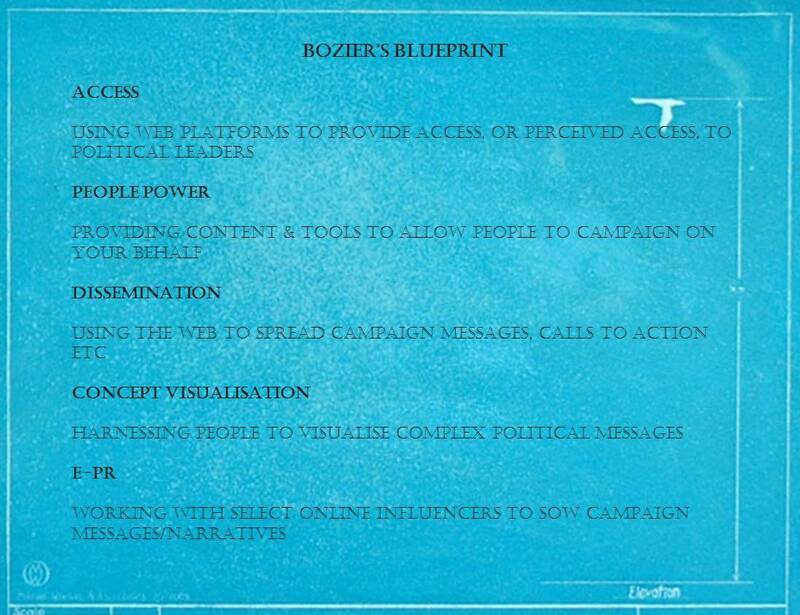 Luke Bozier, a member of the Labour twitterati and a political strategist, has written a blueprint for online campaigning. The 5 well-construed principles of his blueprint are outlined above, but the full pdf is worth a look. Bozier is obviously a man after my own heart, his principles are more or less congruous with the principles (which I borrowed from Foot and Schneider) that I outlined in my dissertation on the topic in 2007. The principles of running an effective online campaign are well researched and documented. However, if you don’t have a good product (candidate, party, cause) with a believable and compelling narrative, the numbers of people that will want to know about what believe in, connect with your campaign, advocate for you and generally disseminate or engage with your message will always be minimal. Next Do you follow politics? You will now.